In the Monster Hunter Generations Ultimate demo, you will be able to hunt three monsters with increasing difficulty. Those monsters are the Great Maccao, Barioth, and Valstrax. You can also hunt these guys with friends with the included multiplayer. 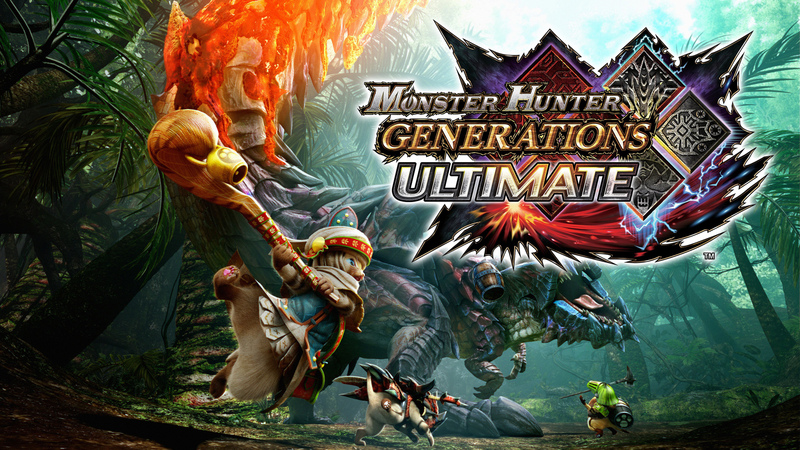 Monster Hunter Generations Ultimate will be released August 28th in NA and UK! This game was released originally in Japan on August 25th 2018. If you played the recent Monster Hunter World on consoles or PC, you will be quite surprised as this game does not have any of the new quality of life changes that Monster Hunter World introduced. The Scoutflies, quick harvesting of materials and easy tracking of monsters are all missing in MHGU. This is actually a “deluxe” version of 2016’s 3DS game, Monster Hunter Generations. There are quite a few more differences between the two. Be sure to come back and find out all the differences between the two games. Below you will find the trailer and new key art as well for the game. Are you picking the game up? Will you be playing the demo? SD Gundam G Generations Genesis coming to Switch in April! Next story Diablo III for Nintendo Switch coming Fall 2018 + New Joy-cons?! Previous story GunplaGamer is Becoming Giant Robot Gaming! !